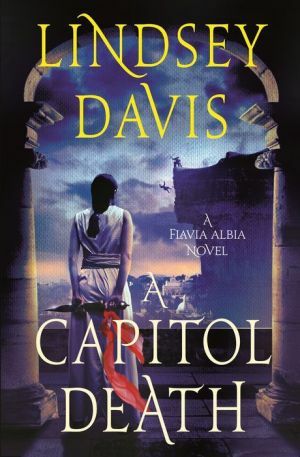 In Rome, ruled by the erratic Emperor Domitian, Flavia Albia is dragged into the worst sort of investigation―a politically charged murder―in Lindsey Davis’s next historical mystery, A Capitol Death. A man falls to his death from the Tarpeian Rock, which overlooks the Forum in the Capitoline Hill in Ancient Rome. While it looks like a suicide, one witness swears that she saw it happen and that he was pushed. Normally, this would attract very little official notice but this man happened to be in charge of organizing the Imperial Triumphs demanded by the emperor. The Emperor Domitian, autocratic and erratic, has decided that he deserves two Triumphs for his so-called military victories. The Triumphs are both controversial and difficult to stage because of the not-so-victorious circumstances that left them without treasure or captives to be paraded through the streets. Normally, the investigation would be under the auspices of her new(ish) husband but, worried about his stamina following a long recovery, private informer Flavia Albia, daughter of Marcus Didius Falco, steps in. What a mistake that turns out to be. The deceased proves to have been none-too-popular, with far too many others with much to gain from his death. With the date of the Triumphs fast approaching, Flavia Albia must unravel a truly complex case of murder before danger shows up on her own doorstep.